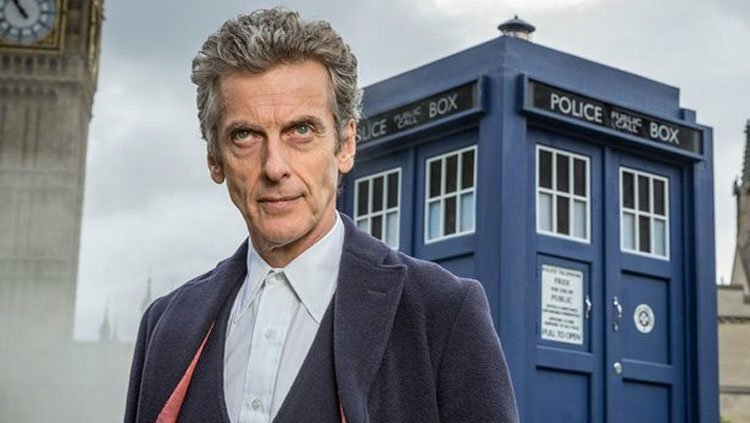 It was reported a few days ago that outgoing Doctor Peter Capaldi would be attending the Doctor Who panel at San Diego Comic-Con for one last time this year before he bows out of the TARDIS at Christmas. Now, it’s been revealed that he’ll be joined by his co-stars from the most recent season of the sci-fi show, as well as two key behind-the-scenes talents. Moderated by Chris Hardwick, the panel will give fans an exclusive sneak peek of the upcoming Doctor Who Christmas Special – the final starring Peter Capaldi as the Twelfth Doctor and written by Emmy®-winning lead writer and executive producer Steven Moffat. It should go without saying, but this is a must-attend event for fans, as it’ll likely be one of the last times these individuals will be seen together. As we’ve already said, Capaldi’s time on board the TARDIS is definitely up soon, and his latest companions, Pearl Mackie and Matt Lucas, are leaving with him. The same goes for his on-screen nemesis, Michelle Gomez. Showrunner Steven Moffat is also moving on after the Christmas special. In lieu of more Sherlock – which is looking more unlikely to make a comeback as time goes on, sadly – Moffat is scripting a new adaptation of Dracula. His co-writer on that project is his old buddy Mark Gatiss, who himself has also said that he doesn’t know if he’ll write more Doctor Who episodes now that Moffat’s vacating the show. San Diego Comic-Con kicks off on July 20th. Doctor Who, meanwhile, will next be on our screens this Christmas.